Taking the Interstate 40 from North Carolina to the West is probably the most American road trip of them all. 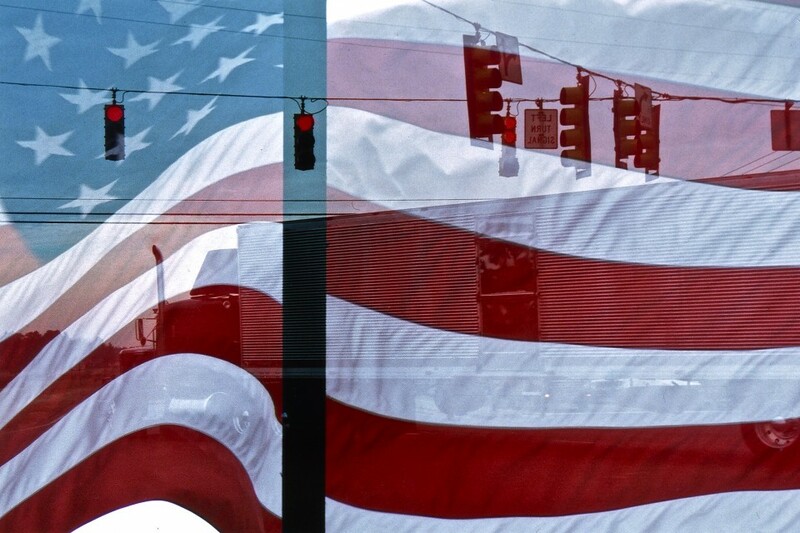 It is like going on the silk road of popular music, Blues, Jazz, Country, Soul, Rock´n Roll, every little bit of genuine American music seems to orginate from places lined up around the 40 like the musical stones of America´s most precious necklace. 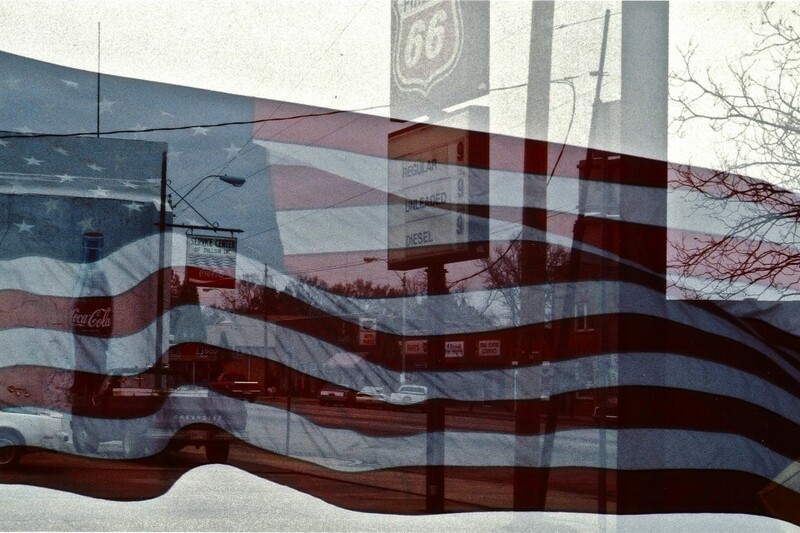 When I started taking pictures of some of the places along the road I didn´t like any of them, they weren´t at all showing anything I had seen and thought of as the true Americana. 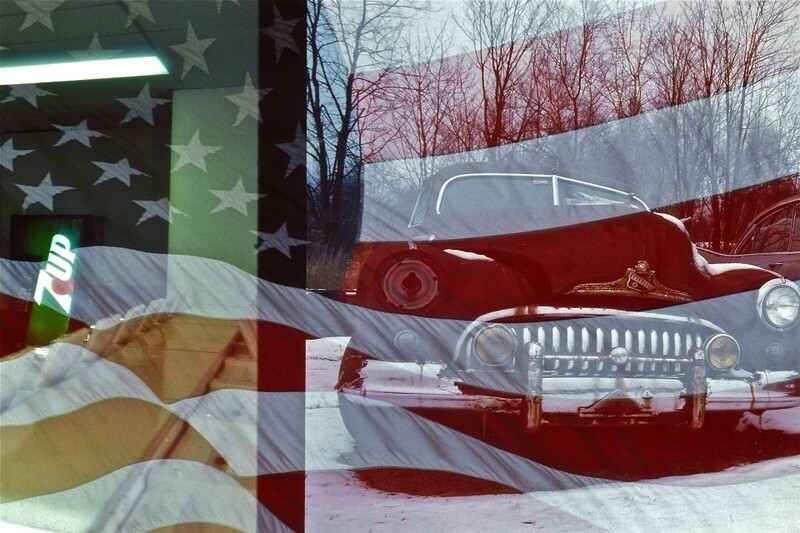 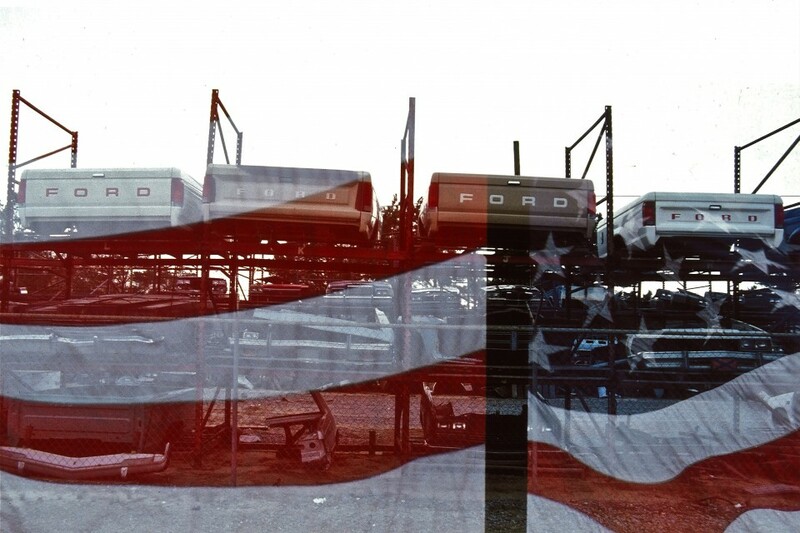 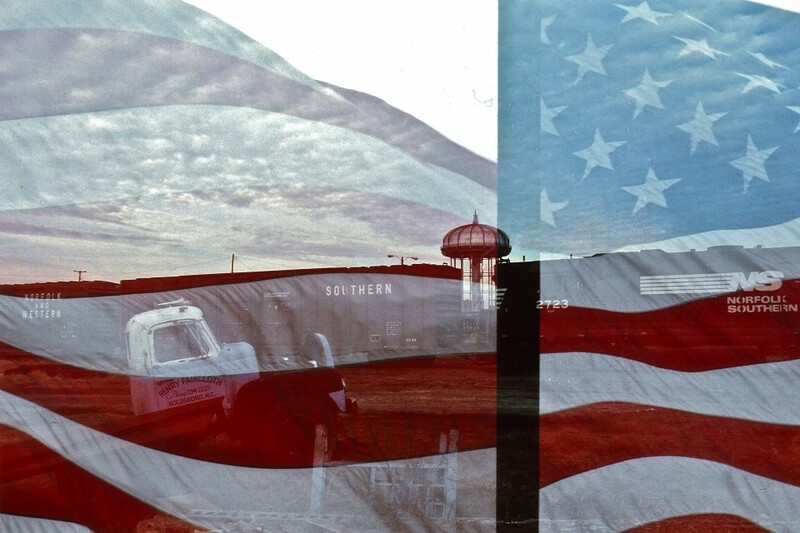 Simple wooden buildings, abandoned sheds, yellowed corporate signs, rusty cars left behind like dead horses in the wind which is caressing the pervasive stars and stripes like huge patriotic birds. 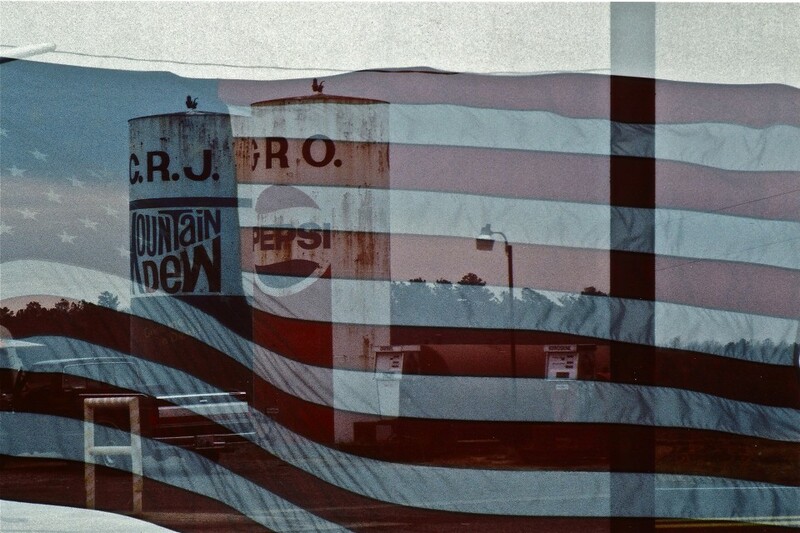 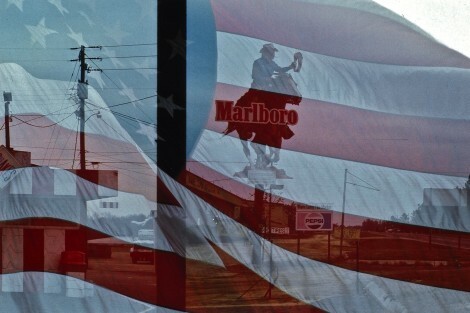 The pictures I had taken were empty, they didn´t show any of the exuberant display of corporate America, the broken dreams, the everlasting hope, that look of a time long gone and yet still present in every moment. 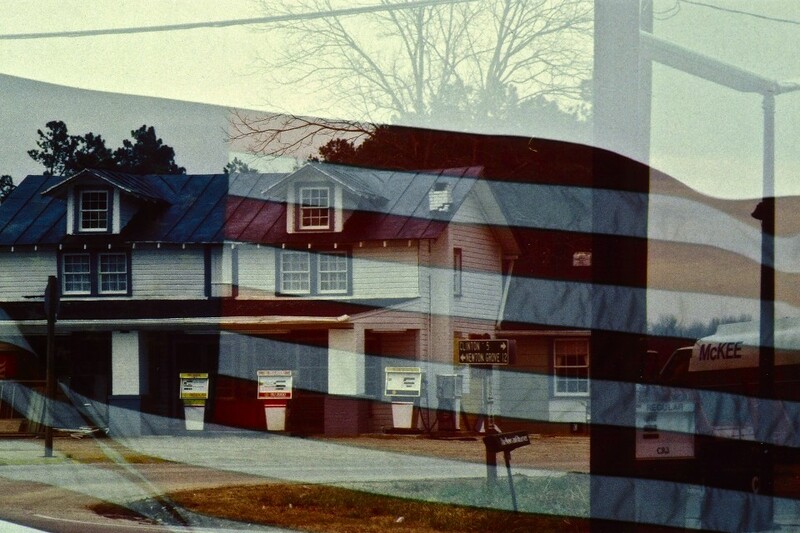 When I had rewound the first roll I put it back in hoping to achieve what I was looking for by just exposing it one more time. Still not sure about the outcome (those were the analogue days! 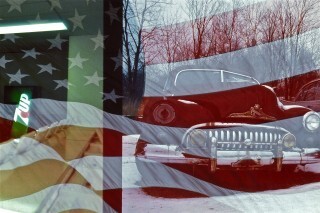 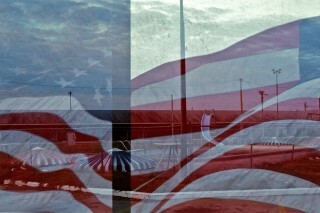 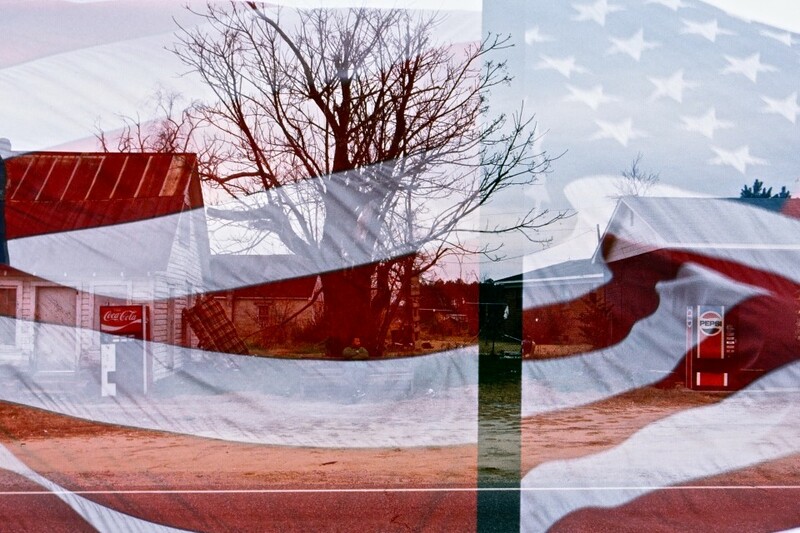 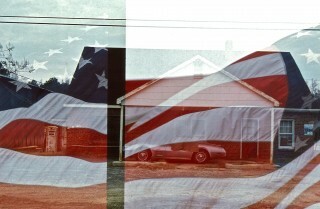 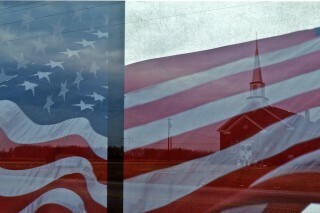 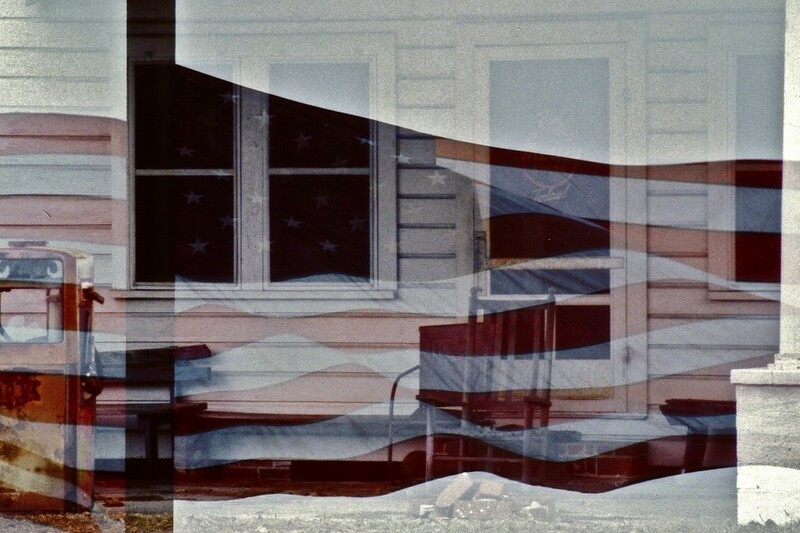 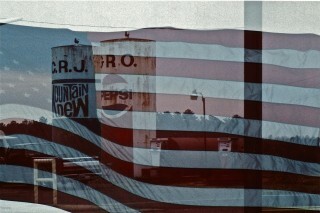 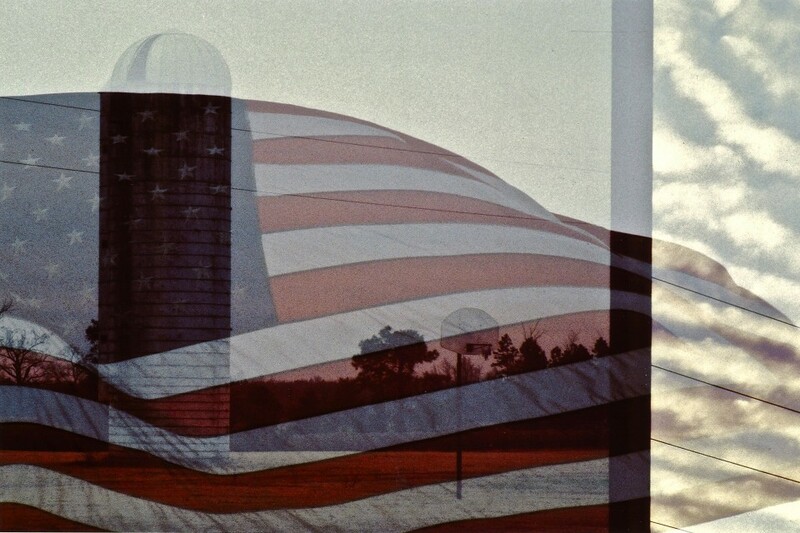 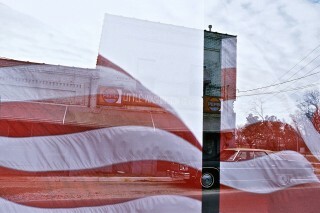 ), I then overexposed stars and stripes blowing in the wind as a third layer. 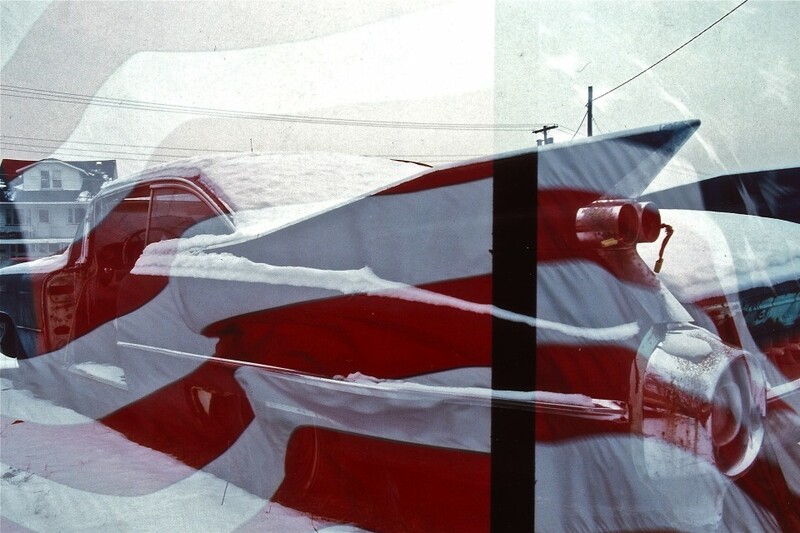 When I went to see the results a couple of days later in the lab I was somehow pleased with it and over the years found myself going back to that kind of multiple exposure photography.